One of the best ways of exploring this beautiful island is to get out on foot and see where the winding paths and intriguing trails take you. And something that you are sure to notice during any hike is the number of little chapels that can be seen amongst the landscape. Their whitewashed walls stand out against the greens and browns of their surroundings and each offers its own unique story of how it came to be. These small places of worship can be seen all over the island. Some are found in the middle of towns, others are positioned on the side of the road and some are even seemingly built into the rugged valleys that make up the terrain of La Gomera. Each is dedicated to a religious figure and fiestas are held at certain points throughout the year to celebrate these Virgin and Ladies. Here are a few charming examples that you might discover whilst venturing out from the Hotel Jardín Tecina. The Hermitage of Our Lady of Lourdes is hidden within the UNESCO-listed Garajonay National Park, on the road to the quaint hilltop village of El Cedro. It was built by an English woman who moved to La Gomera after losing her fiancé in WWI. She formed a heartfelt bond with the village and the people living there and dedicated part of her life to constructing a place where they could worship. Whilst the chapel may be devoted to Our Lady of Lourdes, there is a plaque asking visitors to pray for Lady Florence Stephen Parry who played the most important role in the building of this much-loved church. 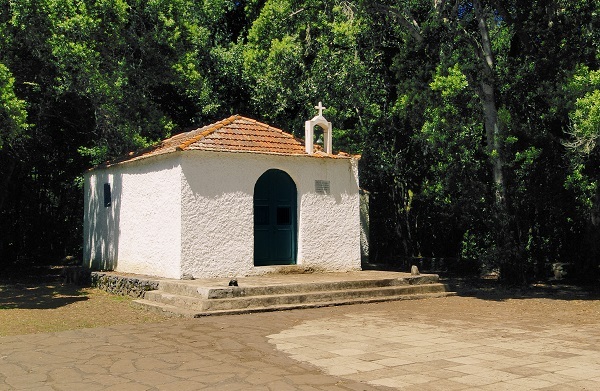 This chapel was built in devotion to Our Lady of Guadalupe, the patron saint of La Gomera, and can be found high up in the mountains on the west of the island. Its remote location is down to the fact that it was built by a farmer who promised God he would do so if God saved one of his cows. Some stories say that the cow was ill whilst others claim that it had fallen down a ravine. Either way, the animal survived and the farmer kept his promise. Now, every October a festival is held in honour of the man and the cow that prompted the establishment of this place of worship. Whilst this is technically a church, it makes the list because it stands in the place where an important chapel once was. This is said to be where Christopher Columbus and his men came to pray the last night before setting off on their infamous 1492 voyage to discover America. Sadly the original chapel was destroyed in a fire, but the church here today, dedicated to the Virgin of the Assumption, does a great job of remembering this important moment in history. In can be found in the centre of La Gomera’s largest town, San Sebastian. Another remote chapel, this one can be found close to the road which leads to the Mirador de Igualero, one of the island’s many defined lookouts that showcase the natural beauty found here. Every September 14th, a procession is held from the Hermitage of Our Lady of Good Passage to the Church of El Salvador in the town of Alajeró. During this popular event, a figure of the Lady is carried as part of the parade. 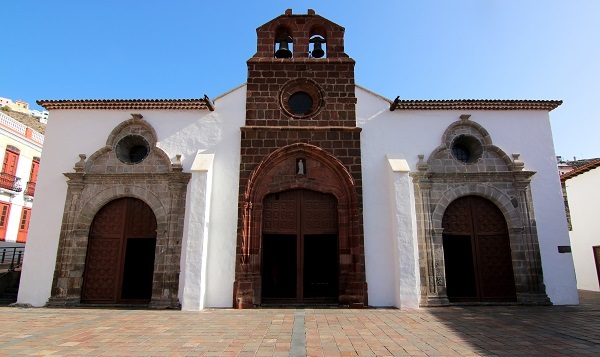 If you would like to discover the many chapels of La Gomera, or take part in any of the other activities the island can offer, we can book your stay at the relaxing Hotel Jardín Tecina. Call us today for the latest offers and availability.